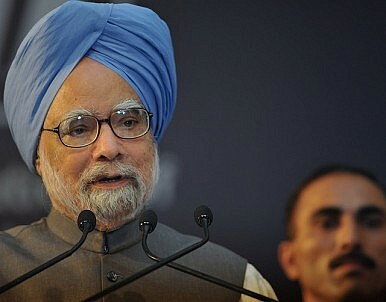 Manmohan Singh has pledged to tackle corruption. But could India’s efforts to beat black money lead to a police state? Now that Congress President Sonia Gandhi has fielded none other than Prime Minister Manmohan Singh to spruce up the image of the party and government by regularly engaging with top editors, his take on the most talked about issue in recent times – black money – is particularly significant. On June 29, Singh met five editors from the print media for over two hours – an exercise that he plans to undertake each weekend. He discussed a range of issues that are dominating Indian politics, including corruption and black money. Singh bluntly told the editors that there’s no ‘magic wand’ that will remove the problem, and stated that black money made up as much as 25 percent of even major European countries’ economies. But he also explained that his government was in the process of negotiating double taxation avoidance agreements, tax information agreements with a number of countries, and has fought hard in the G-20 to secure modifications to the secrecy of tax saving banking systems. Singh also stressed system reforms to curb the twin problems of corruption and black money, pointing out that the Unique Identification Authority of India (UIDAI) project that Nandan Nilekani has promised to design will go a long way toward tackling these issues. The UID project is crucial for addressing several problems in one go: corruption, black money, illegal migration and terrorism. By 2014, it’s hoped the UIDAI will be able to provide every citizen with a unique identity card, allowing it to keep tabs on every Indian. The prime minister argued that the UID project would provide ‘a new pathway to eliminate the scope for corruption and leakages in the management and distribution of various subsidies to which our people are entitled,’ but he also stressed that it will take time. He also added that although the government is going ahead with various other projects for dealing with corruption, ‘(M)y worry is to avoid a situation when we convert this vast country of over 1.2 billion people into a state where everybody is policing everybody else. We must not bring back the license permit raj which we sought to abolish in 1991,’ Outlook India quoted him as saying. This is indeed a major concern as several upcoming security-related projects would enable the Indian government to track the movement and financial transactions of its citizens as never before. This is certainly good from a national security point of view, but from the viewpoint of personal freedom, projects like UID and NATGRID – anintegrated facility for linking the databases of 21 departments and ministries – raise the spectre of India becoming a police state. A Supreme Court decision over probing black money, and civil society input into a new bill may actually help the Singh govt. A 2G Bench Change?Cabinet Reshuffle in the Works?Opposition MP Calls UPA 'Illegitimate'Rahul Gandhi's New Post?UPA’s Picks Number 2?